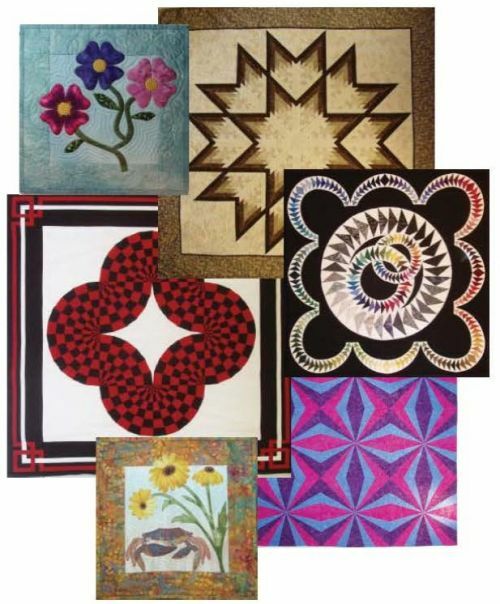 Starting from as far back as I can go, I will show you a fun and inspiring collection of my quilts including the GOOD, the BAD and the IF I ONLY KNEW WHAT I WAS DOING quilts. As a quilt-a-holic who plans to never recover, I thrive on absorbing all I can about quilting and sharing techniques, tips and tricks with others. Since I have tried a little bit of everything from hand-applique to machine embellishment, paper-piecing to crazy quilting, large and traditional to small and artsy, you just never know what I'll get into next. Share my journey as I show you that no matter your likes, styles or experience, quilting has something to offer everyone. After the lecture, the audience is encouraged to get up-close and personal with my quilts. Fondling is permitted.